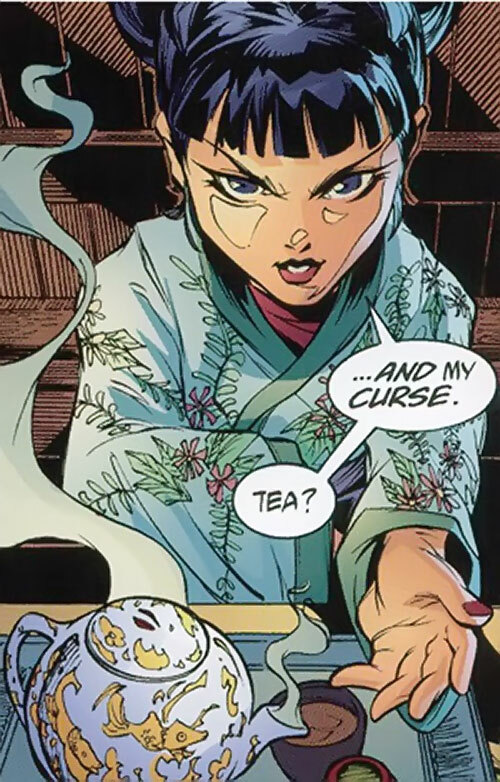 Her magical abilities are based on the vague means she used during the crossover with Young Justice. But then her scientific abilities also assume she at least designed much of her technology, so a lot of the write-up is speculative. Allegedly immortal, Annie Mae controls a powerful criminal organization with vast resources and powerful technology at hand. It’s possible that Annie is responsible for the design of a lot of the technology her organization has. Annie has also exhibited knowledge of certain magics, such as paralysing people, or summoning beings. An immortal genius, Annie Mae has on numerous occasions threatened the safety and government of Japan and its neighbours, although she has been in retirement for a while. 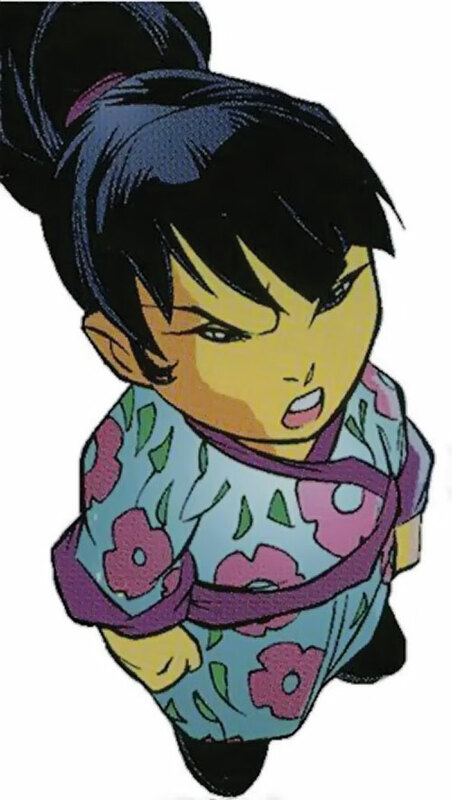 She was brought out of retirement when her old ally Slackjaw required assistance to wreck havoc on Tōkyō, and she lent him the Killadilla robot. Unfortunately, her enemy, Spygirl, had tracked Slackjaw there, accompanied by Spyboy and Bombshell. They made short work of Annie’s ninja guards, and captured her. She told them where Slackjaw had gone, and offered them the one means of stopping his rampage: the Iron Giant Chef robot. It would however, require all of them to pilot, allowing Annie the opportunity to escape. They accepted. 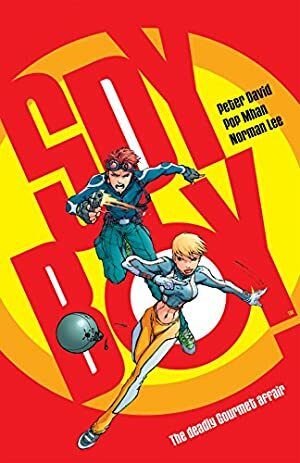 Relocating her base of operations to her giant, shark-like submarine, she allied herself with the hooded REMbrandt, with whom she built Super-Deformeds, miniature versions of Spyboy & Co. and Young Justice, which they used to turn the two teams against each other. Not fully trusting REMbrandt, Annie recruited Slackjaw as her bodyguard. Her suspicions proved accurate when REMbrandt, revealing himself to actually be Harm, dispatched the Super-Deformeds to launch a terrorist attack on a meeting of the top international conglomerates in Tōkyō, to open wide the Hell-Hole residing beneath, destroying the city at least. She managed to freeze Harm in his tracks long enough to summon someone who could hurt him, his sister Secret, a member of Young Justice. She arrived with Spyboy in tow, and they took down Harm, severely damaging the sub in the process, but were unable to apprehend Annie Mae. Serene and calm at most times, Annie nevertheless appears to have some emotional issues, and if her plans are foiled she may well throw a hissy-fit. Other times, she’s adapted quickly to changing situations, putting back-up plans into play, and generally appearing undaunted by whatever comes her way. While her exact goals are unknown, she seems more interested in manipulating events than taking over the world, but this may just be due to her having retired. She has access to an array of high tech stuff (such as her giant robots, see below), but is rarely seen using any herself. She could presumably have access to a few 10 AP Omni-Gadgets. Annie is sometimes protected by a bunch of hidden ninjas. 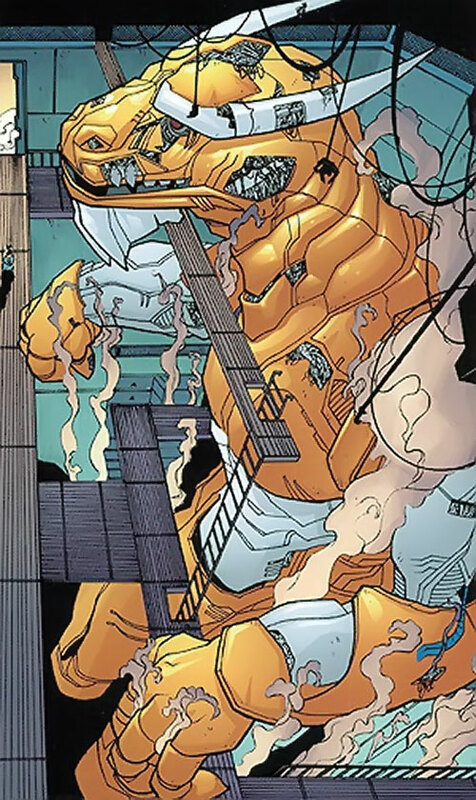 Annie’s Mount Fuji base held a couple of giant (approximately 150‘) robots, the dragon-like Killadilla, and the Iron Giant Chef. They appear to be generally similar in size and strength, and both can fly, the only functional difference being that Killadilla can laser beams from its eyes, and Iron Giant Chef can wield a pair of gigantic cleavers, which can deflect energy attacks, such as Killadilla’s laser beams. Both require pilots, but while Killadilla only needs one, Iron Giant Chef needs four.